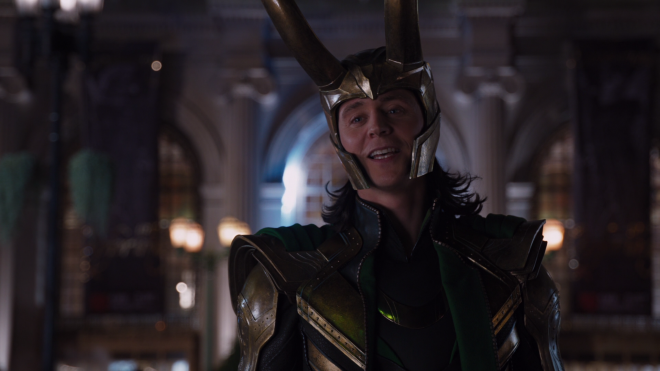 In order to keep Loki, the god of mischief, from subjugating Earth, Nick Fury assembles a team of superheroes in The Avengers, but first, they must overcome their clashing egos before deciding a plan of attack. Six years later, the first in the franchise remains as entertaining as ever, thanks in part to Marvel's slow build up to the event but Joss Whedon's input and direction also takes considerable credit in the movie's massive success. The team of remarkable people unites on 4K Ultra HD Blu-ray with a splendidly marvelous HDR10 presentation that improves on its HD SDR counterpart and delivers a highly-satisfying Dolby Atmos soundtrack. Porting over the same set of supplements as the Blu-ray, the overall package is Recommended for fans and those hungry for more HDR goodness. Six years later, The Avengers still holds up as one of the better superhero flicks among a swamp-thick ocean of superhero flicks. It's funny looking back and thinking screens felt overflowing with fantastical tales about arrogant millionaires in flying iron suits, ill-tempered green giants sporting some daisy dukes, a god of thunder with daddy issues and a military experiment turned WWII hero. Oh, and we're going to throw into the mix, just for good measure, a former Russian spy with deadly martial arts skills, a highly-talented master archer and a cycloptic Samuel L. Jackson as the crotchety director of a mysterious super-secret government agency. Thankfully, what could have been a complete disaster actually became a shockingly good time at the movies, terrifically satisfying on every level. Some of its success could be attributed to Marvel's standalone-yet-interconnected productions centered around the character development of each of the four primary superheroes — Iron Man, Hulk, Thor and Captain America — before uniting them as a team. Personally, I would argue much of the production's triumph is also due to director Joss Whedon's heavy input, sharing co-writing credit with Zak Penn. The entire movie is showered in Whedon's signature off-beat humor and one-liner wit while still balancing a somewhat weighty tone that doesn't feel too grave and dense. 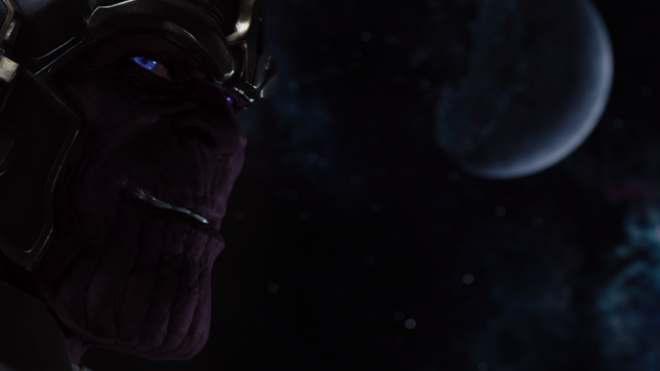 The plot may be about mischievous Loki's attempt to subjugate Earth by using a blue-glowing cube called the Tesseract, which contains one of the six Infinity Stones later sought after by Thanos, but the real joy of the film centers around the odd-couple chemistry of the central heroes. 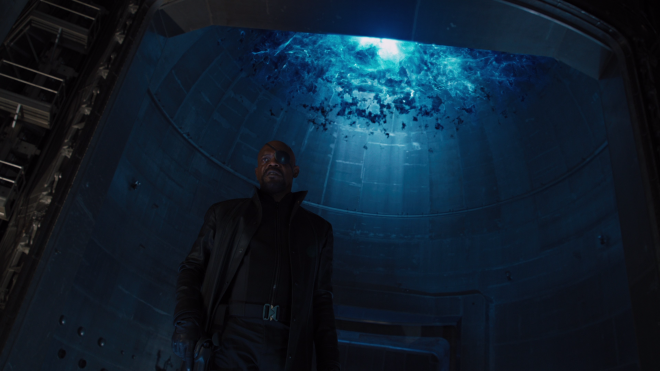 There's a subtle layer of the buddy-cop trope underscoring much of the dialogue and interactions, as the amount of machismo ego clashes and energizes the Tesseract, threatening Nick Fury's dream team of remarkable people before it even begins. The drama of them slowly assembling, particularly after the tearful loss of one of their own, is ultimately what fuels the story and franchise as a whole. 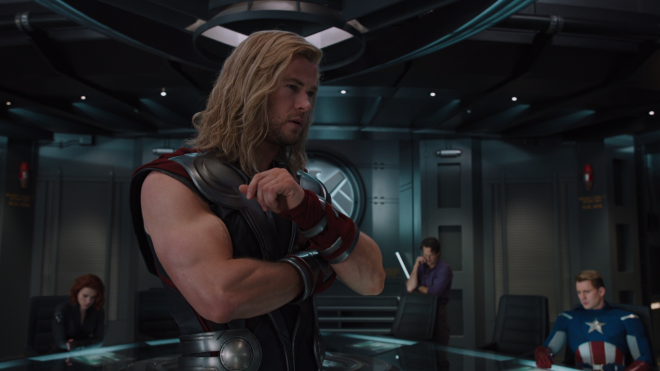 And it all started here in Joss Whedon's The Avengers. 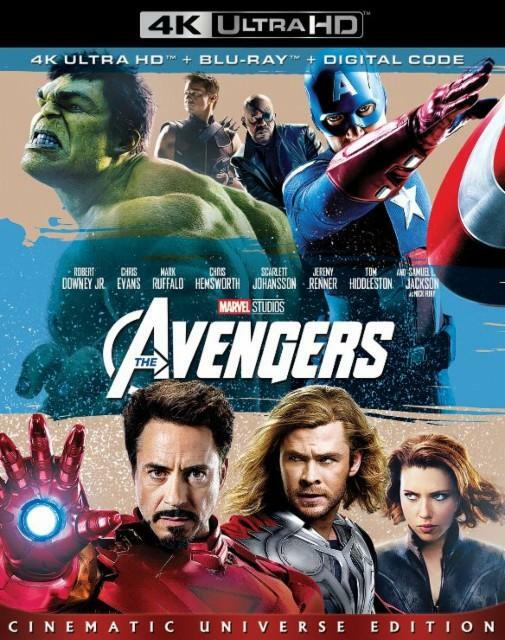 Walt Disney Studios Home Entertainment brings The Avengers to Ultra HD Blu-ray as a two-disc combo pack with a flyer for a Disney Digital Copy. When redeeming said code via RedeemDigitalMovie.com, MoviesAnywhere or VUDU, it includes both the HD and 4K UHD digital versions while VUDU users will have access to a Dolby Vision HDR version with Dolby Atmos. The dual-layered UHD66 disc sits comfortably opposite a Region Free, BD50 disc. Both are housed inside a black, eco-vortex case with an embossed, glossy slipcover. At startup, viewers are taken directly to the start of the movie, and menu options are only accessible when going to the main menu screen with a still photo and music playing in the background. A seemingly unsuitable team of remarkable people suit up and assemble on 4K Ultra HD Blu-ray with a marvelous and splendidly beautiful HEVC H.265 encode. Showering the screen with rich, luxurious blacks right from the opening moments, the 1.85:1 image comes with a lovely cinematic appeal that leaves its HD counterpart feeling somewhat flat by comparison. For the first quarter of the movie, which takes place at night, scenes are bathed in deep, oily shadows that penetrate deep in the screen, providing it with an appreciable three-dimensional quality. Although delineation is strong, maintaining great visibility with the darkest corners, there is the occasional mild crush, but thankfully, it's nothing too distracting or flagrant. Overall, the upgrade shows a welcomed uptick in definition and resolution, offering better clarity and exposing the small, distinct wrinkles, creases and stitching in the clothing. However, there is also some rather negligible aliasing happening along the sharpest edges and around S.H.I.E.L.D. 's computer systems. Shot on a combo of 35mm and digital HD cameras, the best and most notable improvement is the significantly brighter contrast throughout, giving every scene, especially those with lots of daylight, a more dazzling pop. Likely struck from a 2K digital intermediate, the 4K presentation displays radiant whites with eye-squinting intensity and shining brilliance, allowing for extraordinary visibility into the far distance and excellent detailing during the busiest, most chaotic action sequences. Exceptional specular highlights add a lovely shimmer to the fluffy clouds and a realistic glistening shine to the edges of various metallic objects and glass surfaces, and we can plainly make out the finest details within the brightest lights, making the sparks during the Cap, Thor and Iron Man fight a near demo-worthy moment. As seems to be the latest trend from Disney 4K UHD Blu-ray releases, the new Dolby Atmos soundtrack requires having to turn up the volume a bit, but thankfully, it's not by much. In my system, -6 from reference sounded great, and unlike others in the Disney catalog of the last year, the object-based track delivers a highly-engaging soundstage that continuously feels broad and spacious. With outstanding clarity and balance, the screen is kept busy with lots of off-screen background activity, convincingly moving between the three channels and subtly bleeding into the front heights, creating an awesome half-dome presence. The mid-range is dynamic and extensive with detailed, room-penetrating highs while the dialogue remains a top priority and intelligible during the loudest, chaotic segments. One area of concern, however, is the rather uneven and somewhat inconsistent low-end, fluctuating between room-energizing and commanding during explosions but suddenly falling flat and weak when scenes erupt in gunfire. Nevertheless, the bass is quite powerful and satisfying enough to provide weight and presence with the periodic wall-rattling oomph we'd expect from some of the visuals. All the same supplements have been ported over from previous home video releases, which can be read in more detail in our review of the standard Blu-ray HERE. 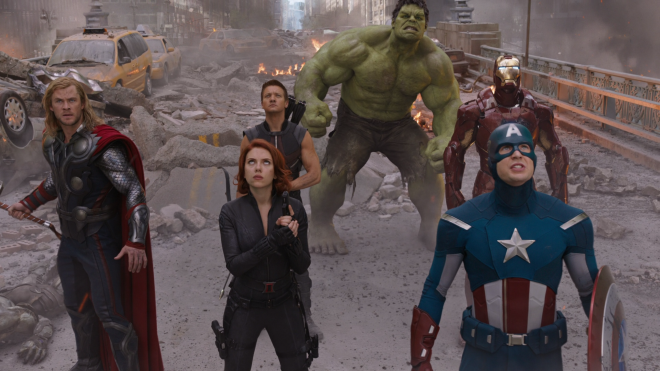 Filmmaker Joss Whedon pulled off the impossible with The Avengers, uniting various superheroes who enjoyed successful standalone features prior to this potentially disastrous effort. Showered in Whedon's signature off-beat humor and one-liner wit, the plot terrifically balances a somewhat weighty tone inspired by the events and character developments of earlier entries with plenty of eye-catching visuals and thrilling action. The 4K Ultra HD Blu-ray arrives with a splendidly marvelous HDR10 presentation offering a smashing improvement over its HD SDR counterpart and a satisfying Dolby Atmos soundtrack that puts you right in the middle of the superhero mayhem. Featuring the same set of supplements enjoyed on the Blu-ray, the 4K Blu-ray is Recommended for those hungry for more HDR goodness, making a great addition to the library.